Due to the inclement weather, the Design Committee information session has been postponed until Monday, February 25. Have you seen… National Diving Center’s new mural, the furniture at Fessenden Park, or maybe the banners that line Wisconsin? Welcome to some of the work of Tenleytown Main Street’s Design Committee. Are you interested in helping improve the look and feel of the Tenleytown business corridor? Join us to learn more about the work of Main Street’s Design Committee and what YOU can do to contribute to improving the visual appeal of our business district. Whether you are interested in volunteering at a specific event or you want to be a part of the Committee’s efforts each month, there are plenty of opportunities for engagement. Volunteers with all sorts of skill sets are welcome – no design expertise is necessary! 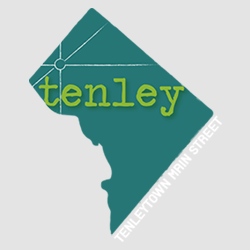 What: Tenleytown Main Street Design Committee information meeting – learn about our first 3 years of work improving facades, cleaning and greening the corridor, improving public spaces, our goals for future improvements, and what you can do to influence and contribute to the efforts.